B&B Alex v Řím, Itálie: Zarezervujte nyní! 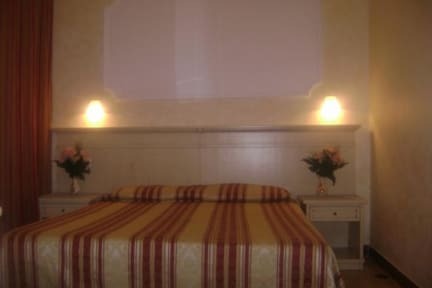 B&B Alex is a family runned place that guarantees you all comforts while in Rome. Here you will enjoy one of the finest central locations in Rome, high standards and friendly, comfortable surroundings with up-to-date facilities. Just outside the door is the Termini Station - the city's focal point with a perfect bus, tube, train and airport connections, but within walking distance to the major historical sites like the Colosseum, Roman Forum, etc. 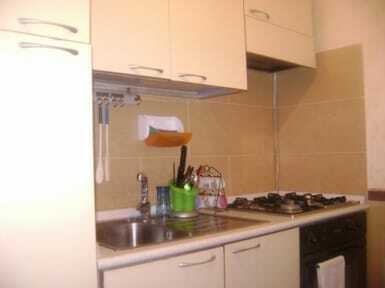 Accommodation varies from single, double, to triple private rooms. All rooms are fully centrally heated, with wooden floors, private bathrooms and hot showers.B&B Alex has all modern amenities including TV, super fully equipped self-catering facilities. Rates also include free bed linen, Breakfast not included in the price 3 euro for person per nigth .This spacious and impeccably clean place provides quality budget accommodation in a secure and relaxed atmosphere with easy access to all major tourist attractions while giving the sensation of your own home.